2003 was the hottest summer on record for Paris, France. As the cities morgues couldn’t cope with the number of elderly people dying because of the rising temperatures, refrigerant containers were rolled in to allow the bodies awaiting funerals to be stored. It made for pictures that went round worldwide. It is unclear whether Mr. Luis Octavio Cotero, the head of the forensic investigators unit in the Mexican province Jalisco has ever heard of the 2003 French summer solution to dealing with too many corpses, but he did manage to come up with a similar answer to handle the record-breaking murder rate in Mexico. 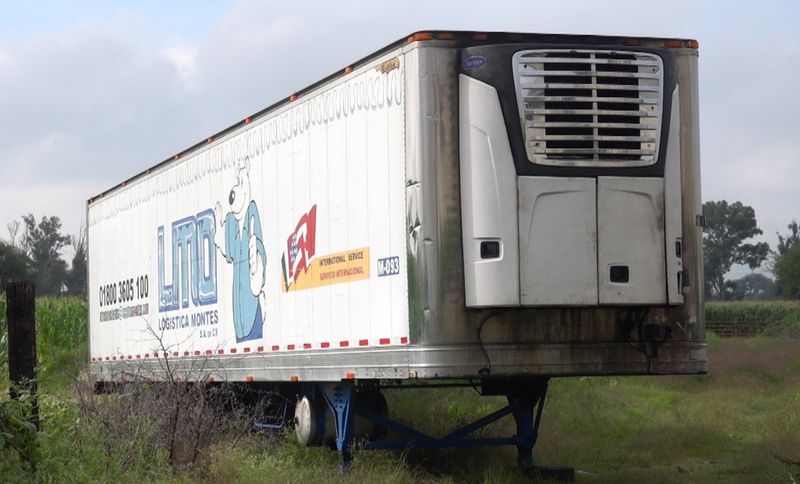 Mr. Luis Octavio Cotero, explaining why there was a refrigerated trailer containing at some 150 corpses standing on the outskirts of Guadalajara said: "We ran out of cemetery plots where we could bury them." The smell has angered residents who have lodged multiple complaints. "We have a lot of children in this neighborhood… it could make us all sick," resident José Luis Tovar said. "We don't want it here. They need to put it somewhere else, it stinks." It is already the second spot for the refrigerated trailer which had previously been parked at a warehouse in the neighborhood of Duraznera, on the outskirts of Guadalajara, but after two weeks the residents began to complain of a foul stench and said the container was attracting flies. Since this weekend, it was moved to an empty lot in the suburb of Tlajomulco de Zúñiga, but now residents over there have also started to protest. Mexico is crackling under an organized crime spree which accounts for some 75% of the murder rate. 2017 was the country’s most violent year with more than 25,000 murders. It is expected that 2018 will easily break that record. Bring your dead, bring your dead… open borders , bring your dead, the US Liberals need the votes.